Sept. 12, 2017 - The University of Houston Law Center is among five law schools nationwide recognized for outstanding commitment to diversity and inclusion by INSIGHT Into Diversity magazine. It marks the second straight year that the Law Center has received this recognition. The Law Center and the University of Houston are among 85 recipients of the 2017 Higher Education Excellence in Diversity (HEED) Award — the only national award honoring institutions for their efforts on behalf of diversity. INSIGHT Into Diversity is the oldest and largest diversity-focused publication in higher education. "It is a humbling experience for the Law Center to be recognized two years in a row," said Dean Leonard M. Baynes. "It shows that the Law Center's considerable efforts at diversity and inclusion are garnering notice. But most importantly, it is satisfying that our programs are having an impact in everyday people's lives." Institutions were selected for the HEED Award based on their initiatives that embrace all aspects of diversity, including gender, race, ethnicity, veterans, people with disabilities, and members of the LGBTQ community. Award recipients for 2017 include community colleges, public and private schools, baccalaureate-granting institutions, graduate schools, and one school system. "The HEED Award process consists of a comprehensive and rigorous application that includes questions relating to the recruitment and retention of students and employees — and best practices for both — continued leadership support for diversity, and other aspects of campus diversity and inclusion," said Lenore Pearlstein, publisher of INSIGHT Into Diversity magazine. "We take a holistic approach to reviewing each application in deciding who will be named a HEED Award recipient. Our standards are high, and we look for institutions where diversity and inclusion are woven into the work being accomplished every day across their campus." UHLC was selected for its numerous diversity initiatives, including the Pre-Law Pipeline Program. 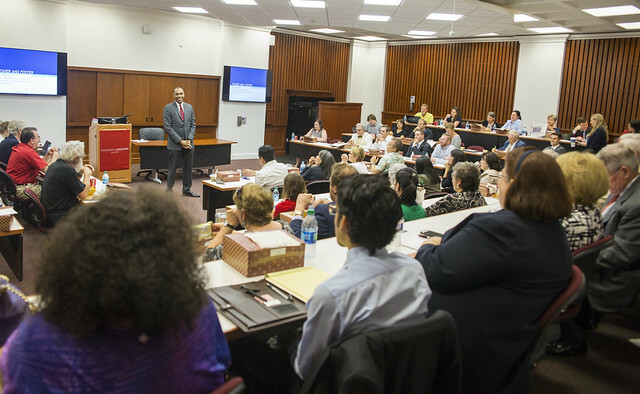 The program, which recently completed its third year, was designed to prepare undergraduate students who are first generation, low income, or members of groups underrepresented in the legal profession for a career in law. "Many thanks to INSIGHT into Diversity for recognizing the UHLC and its efforts," said Program Manager Kristen Guiseppi. "It is such an honor for us to receive this prestigious award for a second time. Diversity is such an important topic, and I am happy that we are able to continue furthering the discussion, and fostering a culture where diversity is recognized and celebrated." 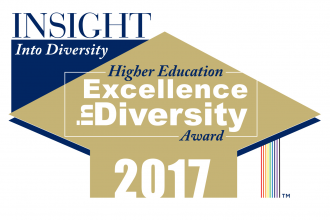 INSIGHT Into Diversity magazine is the oldest and largest diversity publication in higher education today and is known for its annual Higher Education Excellence in Diversity (HEED) Award, the only award recognizing colleges and universities for outstanding diversity and inclusion efforts across their campuses.